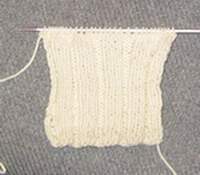 This was my first knitting project ever which I started during Christmas vacation. My grandmother taught me, and I got Knitting Pretty from my sister as well. 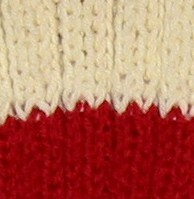 Here's when I added the red stripe to the scarf, each is 33 rows long. 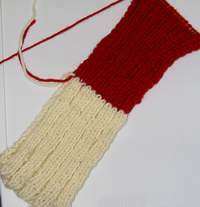 Here I was halfway done with the scarf.